Lucky 7 Catfish Attractant - Stinky Cheese will bring in the catfish like no other scent you have ever used! 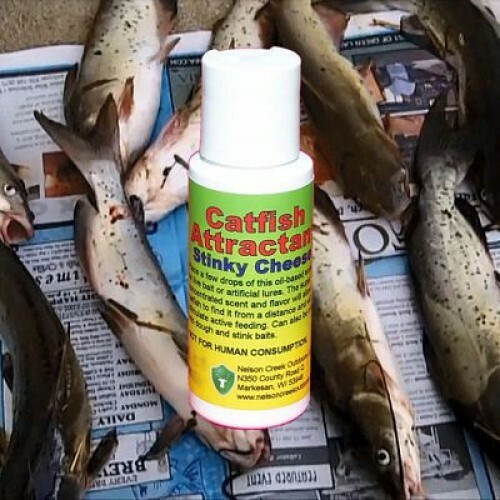 It has a flavor and aroma that is irresistible to catfish and they will find your bait from long distances as the oil-based attractant diffuses through the water. 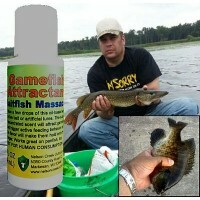 Place a few drops on live bait or artificial lures. You can also use in your own homemade dough bait (video coming soon). Keep a bottle in your tackle box at all times. Will never spoil, rot or go bad. Non-toxic, but NOT FOR HUMAN CONSUMPTION. 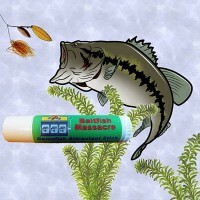 Lucky 7 Gamefish Attractant - Baitfish Massacre triggers game- and panfish to feed like no other sce..
Our AWESOME fish attractant now comes in a convenient, no mess stick!Lucky 7 Gamefish Attractant Sti..